For the past week or two I’ve been hinting at changes that will be affecting Pawsh this fall. The biggest of these changes is that Pawsh (aka yours truly) will now be running it’s own fine art pet photography studio. And today I’m sharing one of my first official Pawsh Studio sessions. Establishing Pawsh Studio is a decision that I have been waffling with for the better part of a year now. You see, rather than cross post and repeat content between Pawsh and LLB Creative, my independent writing and photography business, I’ve decided to absorb my pet photography work under the Pawsh brand. Through Pawsh Studio I will be providing a variety of photography session options from natural outdoor shoots in your dog’s favourite park, to more editorialized sessions in our warm and welcoming studio, to creative commercial visual campaigns and more! Complete details will be coming soon in the next few weeks, so keep an eye on our Pawsh Studio page. 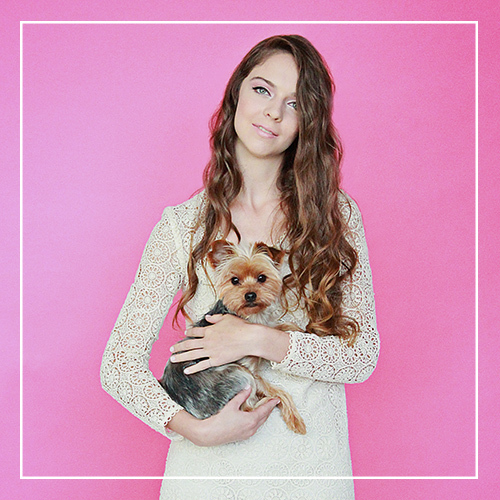 Until then, please enjoy one of my first official pet photography sessions as Pawsh Studio. 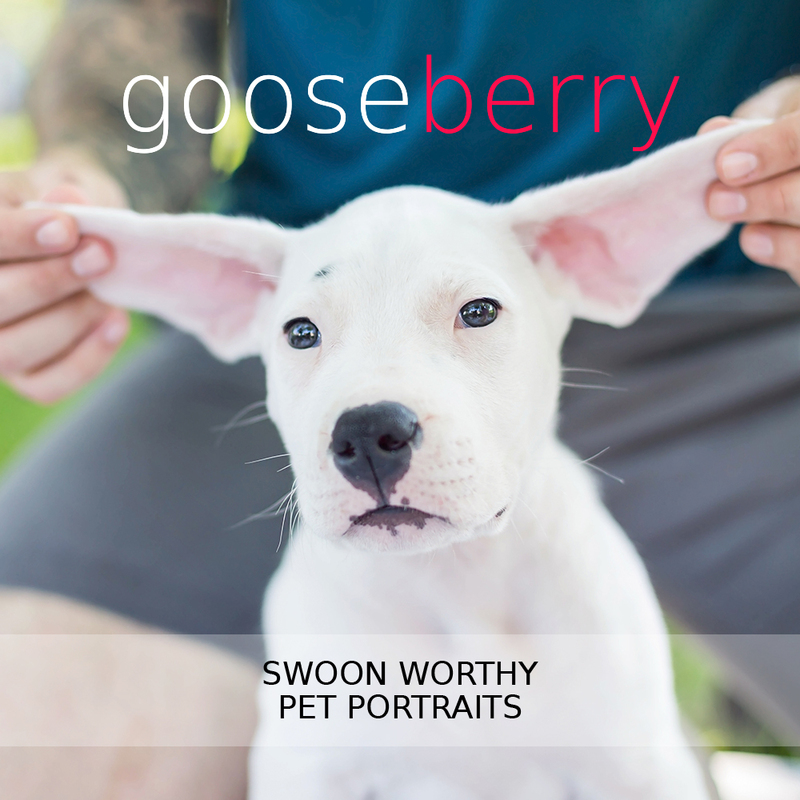 This pet parent wanted a shoot that combined the soft, relaxed tone of a modern engagement session with the vibrant, realistic look of street photography — but with her best canine friend by her side. 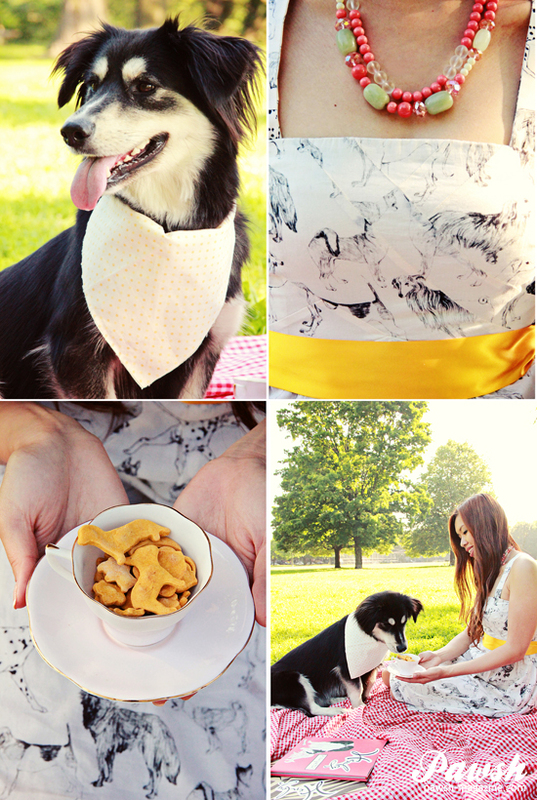 So we hit the park, styled a loveable dog-friendly picnic that you too can recreate with your pupster and set to work capturing beautiful, tranquil moments. Yes, pup and human are reading together in the park, because reading out loud to your pet is a great bonding activity to reconnect with your dog. Teeny-tiny dog-shaped biscuits were served up in china teacups, a crisp classic red and white checkerboard blanket spread out on the lush grass — and how much to you adore that ‘Fetch & Folic’ dress from Anthropologie? 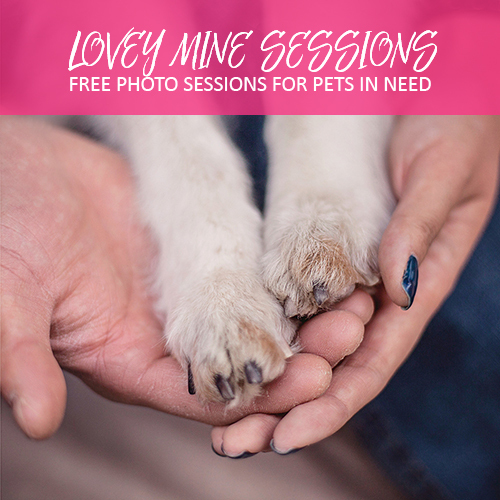 Email me today to book your unique pet photography session! Always a fun time when I hang out get to hang out with Cindy and Koya! Lovely session!